While there is a huge choice of filter effects available on the market today, it could be argued that many of them lack the character and warmth of some of their hardware counterparts and while some claim to capture the sound of vintage hardware, the reality is few have come close. 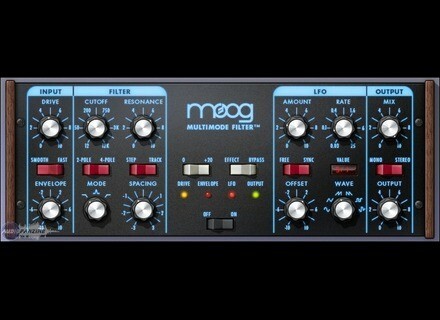 It’s just possible that all this is about to change though, as one of Universal Audio’s latest offerings for the UAD platform is the Moog multimode filter. With a well respected pedigree in emulating prized vintage hardware, Universal Audio are perhaps the best people to attempt the recreation of the classic Moog sound.